We are an industry leading paper composite board manufacturer, we also offer design and conversion services in support of our various board offerings. 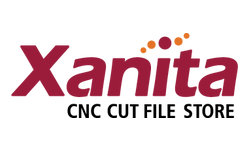 The manufacturing side of the business offers two core fibreboard products namely Xanita Print and Xanita Kraft . The inner core of all Xanita boards is 100% repulpable, ultra lightweight, significantly stronger than traditional honeycomb fibreboard and non-toxic. Our design studio constantly pushes the boundaries of what is possible paper composite fibreboard. Through our learnings we have recognised the need to share our extensive knowledge and educate the market. We are seeking to redefine the industry with both our raw product and finished goods. It’s only through tireless work and our unwavering commitment to always learning, improving and working to deliver the best service possible that we’ve established ourselves as the preferred supplier for many great brands. Xanita’s long-term vision is to build a global, partner community of designers, specifiers and convertors of our sustainable board products. These partnerships will accelerate the establishment of Xanita Board globally. We work tirelessly to question the status quo, pioneer new designs, conceptualise, prototype, iterate and open source our learnings with the education, creative design, display, print, joinery and shopfitting industries. We embrace and engender core values of integrity, honesty, openness, sharing, collaboration and trust. We believe that we are contributing to positive change that will ultimately leave the world better than how we found it. Xanita Print board launched at FESPA Berlin. Xanita Cape Town Board Converting Centre established. 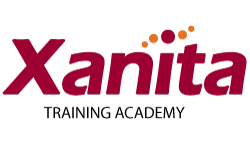 Xanita head office team grows to 74 staff. Xanita Sweden sales office opened. Xanita super-convertors established in Ireland. We launched online CNC cut-file store to making digital cut-files available to our international converter & distributor network. Xanita Customer Support Centre established. Xanita partners with IMAGE Coffins & Caskets to establish a supply chain for Xanita’s proprietary coffin board technology. Xanita European distribution centre opened. Blue Rhine becomes master distributor in the MENA region. USC becomes distributor in Singapore and Malaysia. Xanita exhibits at SGIA independently for the first time, with the aim of identifying a suitable North American distributor. 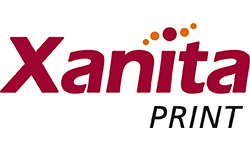 Mohawk Fine Paper becomes Xanita master distributor in North America.